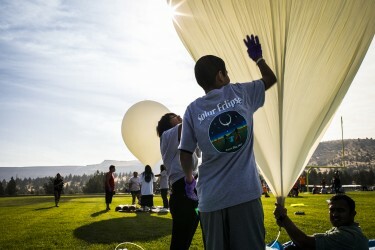 While many people across the country donned viewing glasses and prepared to watch Monday’s solar eclipse, a group of 100 teenagers from tribes across the Pacific Northwest launched balloons thousands of feet into the air, gaining a novel perspective of the eclipse — and the chance to send meaningful artifacts to the edge of space during a memorable moment in history. The high school students released their balloons from Confederated Tribes of Warm Springs land in north central Oregon, directly in the path of totality that allows viewers to see the moon completely cover the sun. Close to 400 people, mainly tribal members and students, gathered to watch. 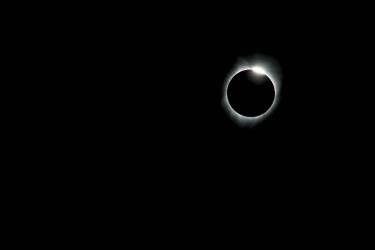 The event, organized by University of Washington-based Washington NASA Space Grant Consortium and the Northwest Earth and Space Sciences Pipeline, was the largest effort involving Native American tribes during the eclipse. 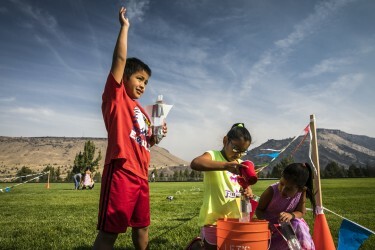 In addition to launching the giant weather balloons, students from each school attached culturally significant items, called payloads, to the balloons and sent them high into the sky. Their artifacts nearly reached space before returning to the ground. Over the past couple of years, consortium staff visited many of the schools participating in the eclipse balloon launch, introducing students to space research and various NASA projects. The goal is to bring STEM-related topics to the students in culturally relevant ways, said outreach specialist Isabel Carrera Zamanillo. 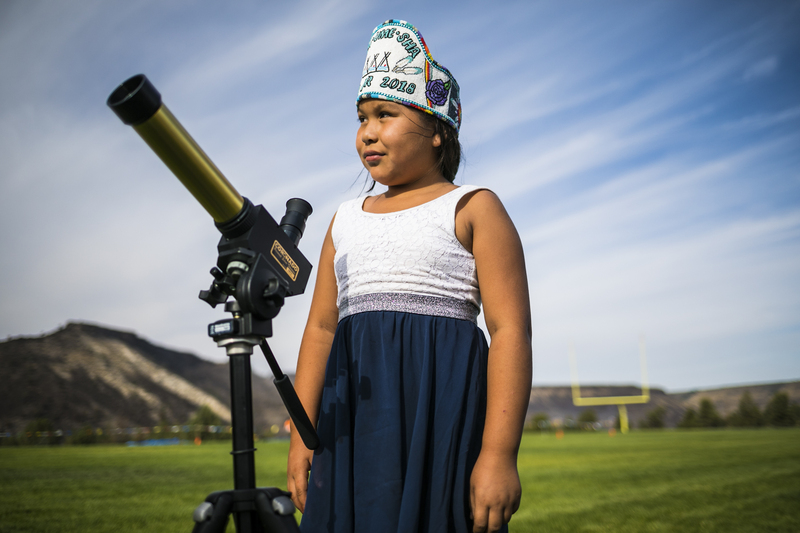 The eclipse project is a tangible way to further involve these students. Each of the 12 student teams created a small payload to attach to the high-altitude balloons. These items are important artifacts to students and included carved wooden instruments, feathers, whistles and a small paddle. Some students also designed electronic sensors that were placed in the balloons and delivered data on temperature, altitude and distance traveled as they soared high into the sky. The balloons can reach altitudes of 110,000 feet and were fitted with cameras and GPS trackers. The four balloons were released in pairs before the start of the total eclipse, with the hope that the cameras would capture a unique perspective. As expected, the balloons popped after two and a half hours of flight, and parachutes helped the artifacts and electronic equipment fall safely to the ground. The items landed about 20 miles from the launch site and teams planned to recover them with the help of GPS. About 35 UW-affiliated volunteers, including undergraduate students, graduate students and faculty, joined consortium staff in Oregon to help with the event. NASA released several similar weather balloons in conjunction with the solar eclipse — including a launch off the Oregon coast — that intended to provide different views along the path of the eclipse. The consortium’s leaders hope this experience will encourage students to build payloads that could hitch a ride on current space-flight missions. Blue Origin, for example, has carrying capacity for such artifacts, Winglee said. “We can encourage the students and say, ‘Look, you’ve done high-altitude balloons, why don’t you go all the way?’ I think this is a steppingstone for students,” he said.